Bass Boost This innovative new product serves as a support for Bass Flutes, allowing for better posture and easy, seamless playing. The Bass Boost is adjustable - it can be used in the sitting or standing position. This a great new invention! 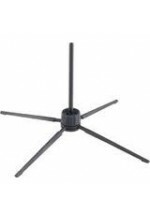 &nbs..
Konig & Meyer Flute Stand A unique compact and portable flute stand with a 4-leg base, this stand works well with any flute and is easily transportable in any bag. ..
Valentino Alto Flute Peg Price: $49.50 This machined Delrin peg screws into the Valentino Flute Stand Base (sold separately) and won't scratch or dent your instrument. Measures 10.5 inches from base to tip when assembled. Valentino Base - Large Valentino Base - Sm..
Valentino Bass Flute Peg Price: $49.50 This machined Delrin peg screws into the Valentino Flute Stand Base (sold separately) and won't scratch or dent your instrument. Measures 12 inches from base to tip when assembled. Valentino Base - Large Valentino Base - Smal..
Valentino Flute and Piccolo Peg Price: $35.00 This machined Delrin peg screws into the Valentino Flute Stand Base (sold separately) and won't scratch or dent your instrument. A detachable peg allows you to use it both as a flute or a piccolo peg. Flute peg measures 8.25 inches, or 12.5 inch..
Valentino Instrument Stand Base - Large Price: $49.50 The Valentino Instrument Stand line features two sizes of bases, and pegs to fit piccolos, flutes (including alto and bass), and clarinets, with interchangeable pegs that can be arranged according to your needs. 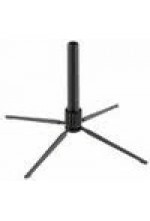 This larger 7.5" x 5" bas..
Valentino Instrument Stand Base - Small Price: $34.00 The Valentino Instrument Stand line features two sizes of bases, and pegs to fit piccolos, flutes (including alto and bass), and clarinets, with interchangeable pegs that can be arranged according to your needs. This smaller 5" x 5" base..
Piccolo Stand by K&M Price ~ $19.95 Portable pocket piccolo stand by Konig & Meyer. This is a very versatile stand that works well with any piccolo and folds into a size that will fit into a zippered pocket. &..